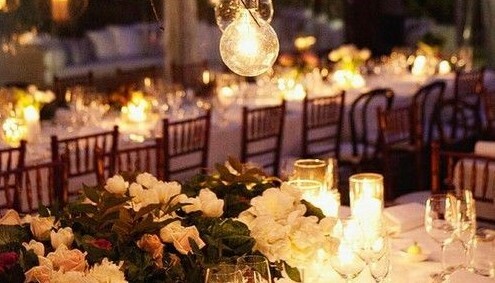 Wedding season has once again dawned upon us, and it definitely feels like there is one to attend every weekend. Weddings bring with it a major problem; WHAT DO YOU WEAR, AND HOW DO YOU PULL IT OFF. Below are a few ideas for what you could wear to your best friend’s betrothal or that distant cousin’s wedding reception, whilst looking fashionably on point and not too gaudy, while maintaining the dress code, if any. The main thing to keep in mind through the entire process is to never look too decked-up or never to attract more attention than the bride. After all, it is her day. The wedding is traditional and will require an Indian outfit. The goal is to look different, but while keeping the general dressing style in mind. Choose a beautiful pastel shade salwar kameez, or an elegant sari. Maybe add in a pop of colour somewhere. For example, the dupatta or sari blouse could be in a brighter colour. If pop colours don’t suit your personality, think of something else to look more unique from the rest. You could go for a solid coloured outfit instead, but try not to pick the traditional reds, pinks and oranges that are likely to be seen. How about a dark purple? Yellow perhaps? You could also experiment with draping saris, and adding cute accessories. Pick an outfit for yourself that you will be confident enough to carry. Church weddings are usually formal in nature. Choose your attire keeping this in mind. Make sure you don’t wear white as this is the colour normally worn by the bride herself. The basic idea is to think outside the box. If you pick a simple dress, go big on the make-up and hair-do. But if your dress stands out on its own, go for a minimalistic up-do. Everyone wears dresses to weddings. 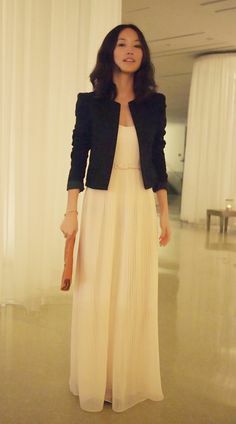 Make your look different by pairing a long dress with a blazer. 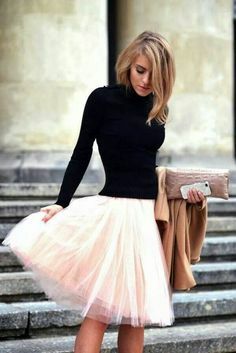 You could also try on a tulle skirt with a crop top. These looks are not only appropriate for the occasion, but also maintain class and style. A wedding by the beach could be one of the most exciting of events to attend. Although dressing up for one might seem fun, you have to keep a lot of pointers in mind. You have to make sure not to wear anything heavy. After all, a beach means sand, and an outfit like a heavy skirt would mean you’d be taking home some sand with you. Also try to avoid wearing heels. Keep in mind that it’s a wedding and not a beach party. Opting for a long maxi skirt and a crop top will definitely work, or just a simple high-low dress. Remember to keep the colours fun and your outfit appropriate. Minimal make-up and a cute fun accessory like a headband or a purse will complete your look. So be prepared to rock the wedding season and be the most stylish guest. Hope you have a nice day! 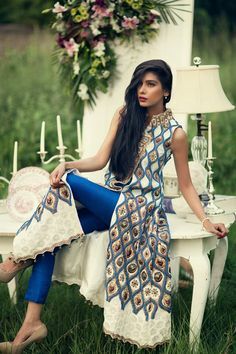 This entry was posted in Closet Confidential, Create the Look, Curvy Stylista, Essentially Yours, Runway Rages, Style Savvy and tagged beach wedding, big fat indian wedding, how to be stylish, stylish, wedding, wedding guest, wedding season.